D&D didn't make that one up. Yes and no. It was inspired by an old grimoire (as the page I linked pointed out), but it changed considerably in the adaptation from a highly intelligent demon lord to a not very intelligent species of magical beasts with a habit of rolling over people. Even the name was changed. 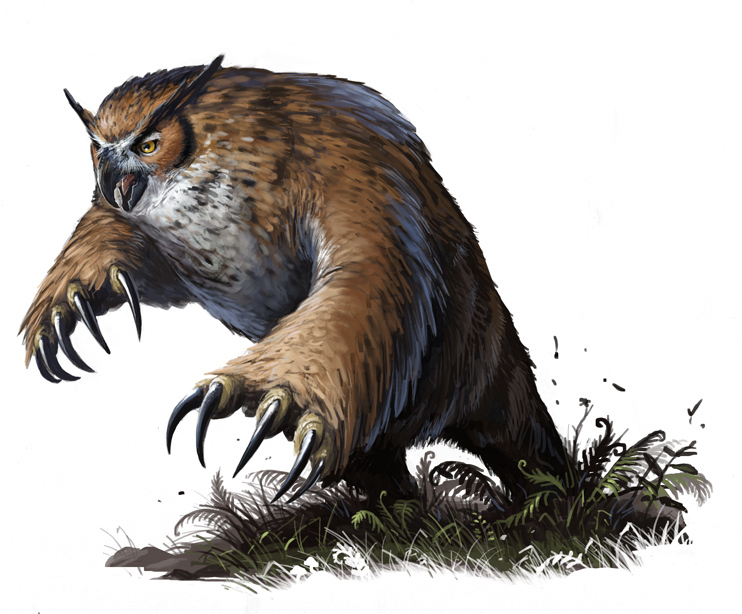 The monster that opened this thread--the owlbear--began life as a kaiju toy. Cocaine Wizard really needs to be an OSR character class. Cocaine wasn't involved, but 2e had Merlanes, the wizard kit responsible for all these wierdass monsters. As much as I love the vivimancer, the merlane still has a place in my heart. Not because it was the first biomancer I read, but because its spells are still useful and awesome. Teratism III has so much potential for making really bizarre creatures. Another creation of cocaine wizards- humans. Elven wizards created this weirdly diverse humanoids long ago because they wanted something other than the dreadfully static elves and dwarves to interact with. Humans were created to be unlike any other species on the planet and they still retain that unique feature. It is interesting that although some prominent monsters are said to have been made by wizards, actually making them is limited to supplements. Though, as DMH has shown, there are a lot of options for doing so once you dig around. ...Oh man, I had read that comic before, but stopped at some point - I wonder if I subconsciously remembered this bit of lore and didn't realize it. Sure that's an owlbear? Looks like a perfectly respectable therizinosaur to me. Maybe not Beipiaosaurus, but a relative. Third edition Illustrations were.... special. 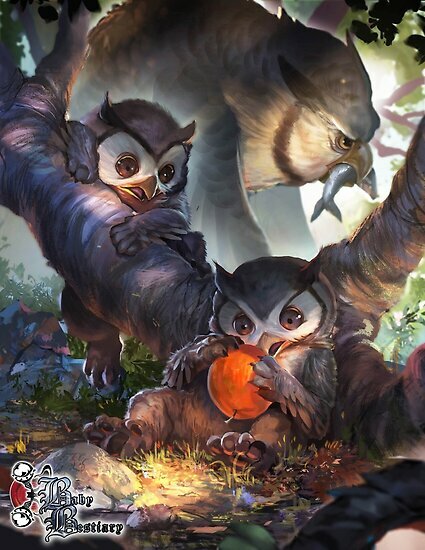 Compare to pathfinder owlbears, which look like what you'd expect a cross between an owl and a bear to look. More interesting trivia. Something that was pointed out to me on Tumblr: What do you call baby owlbears? Are they chicks or cubs? Neither! They're Chubs! If we call them cubicks instead, we can say they're born in perfectly square eggs, which fit in the perfectly square holes in the giant incubator on Mechanus. They sell very high quality weed.